The legacy of the Swiss Buggy ‘Froggy’ is an untold story. As with other makers such as Manx Meyers and the like, the VW-based buggy is known world-wide. Its popularity has only recently resurfaced since their inception in the mid 60’s. Those who own one, enjoy the open-air freedom and exhilarating experience in driving it. Almost 40 years on there is a multitude of all shapes and sizes still on the road - but what about the history of these cars ? 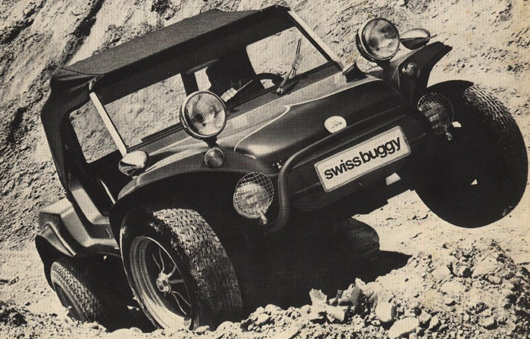 Here is one such story of how a humble family from Switzerland gave ‘birth’ to one such model, the swiss buggy FROGGY.